The adidas Yung-1 finally arrived this Summer, and has become a premier silhouette for the brand in the time since. 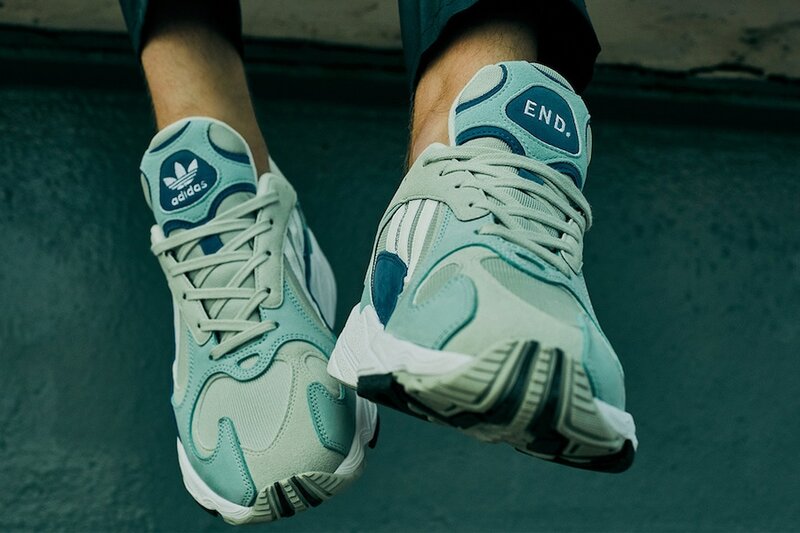 Now, the Three Stripes is pulling back the curtain on collaborations they have lined up, including END. Clothing’s “Atmosphere” colorway. The adidas Yung-1 is finally here. The long-awaited silhouette finally hit stores last month, selling out instantly from almost every retailer. The updated retro silhouette has only released in two colorways so far, but already we have a good luck at some exciting new renditions coming later this year. For instance, several in-hand images of a beautiful collaborative colorway with END. Clothing recently surfaced online and are expected to be releasing sometime soon. The new END. 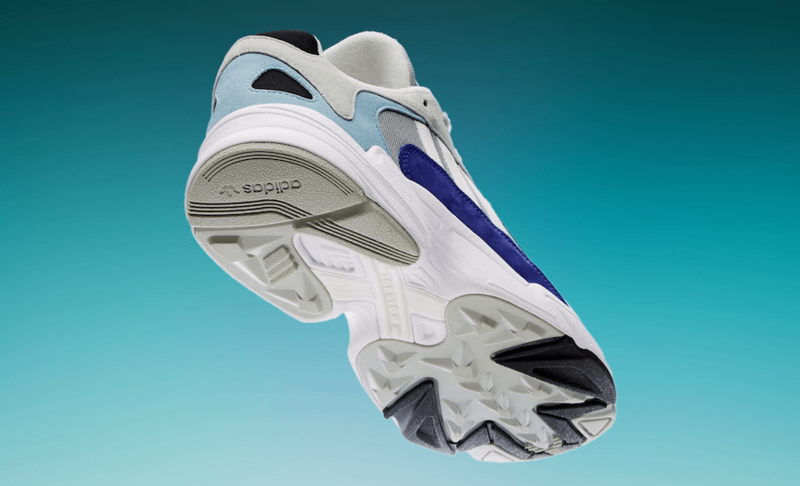 colorway is strikingly similar to the Yung-1 “Alpine” look that surfaced online earlier this Summer. However, some of the shades were altered to make some small changes. 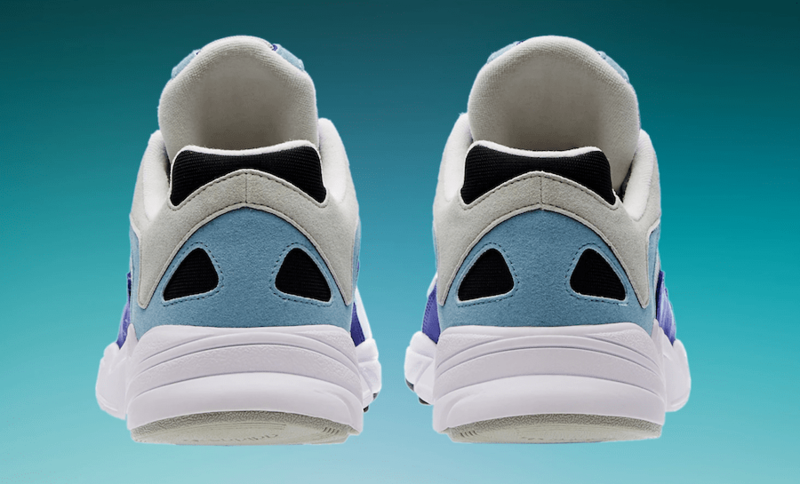 The “Atmosphere” pair begins with mesh base layers in a smooth grey tone, matched in suede on the shoe’s next layer. The larger lining around the heel and toe box comes in a Slate Blue to create a middle ground between the base and the dark navy accents around the shoe. Finally, the new colorway is finished off by pale olive colors around the lacing system. The colors used on this new END. 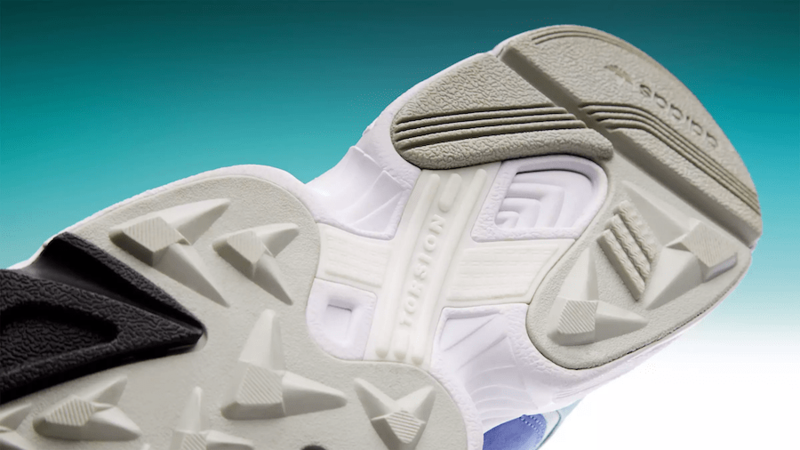 x adidas Yung-1 are meant to represent the colors present in the atmosphere, and what the sky looks like at the edge of the stratosphere. The new END. x adidas Yung-1 has officially been announced for release on September 8th, 2018. The smooth “Atmosphere” colorway will retail for an elevated $150, given the UK retailer’s status as a Consortium account. Check out the official product images below for a better look at the new colorway, and stay tuned to JustFreshKicks for more information on when they drop. The post END. 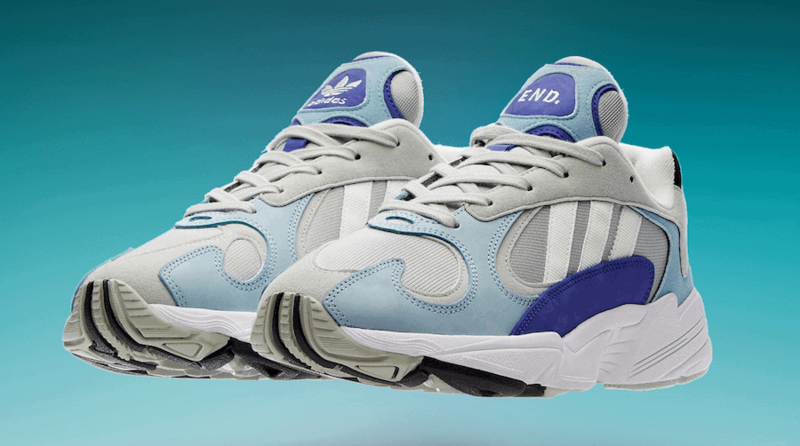 Clothing and adidas Unveil Their Atmosphere-Inspired Yung-1 appeared first on JustFreshKicks.